It's a lot of fun to see your babies republished. Getting new covers designed is what's been holding me up when it comes to self-publishing my books. I dabble in Photoshop, but I don't know enough to create a whole bunch of covers. I found a gal whose price I could afford and hired her to make covers for one of my trade fiction series: The Texas Boardinghouse Brides. I'm in love with it. 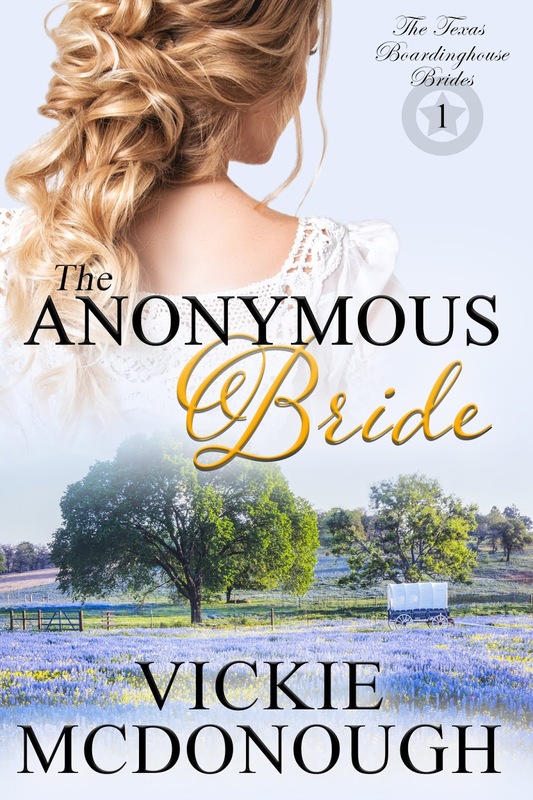 The pretty bluebonnets reflect the Texas setting, and the heroine is lovely. I even like the fonts. Just for fun, I thought I'd post the original cover. It's completely different and was more playful, showing the heroine holding a pie, which plays into the story. I always thought the hero was a little scrawny though. One of the challenges self-publishing authors face is a low budget and difficulty in finding good images that reflect your storyline. So, what do you think? Do you like the new one or old one better? Vickie, congratulations on getting your rights back. 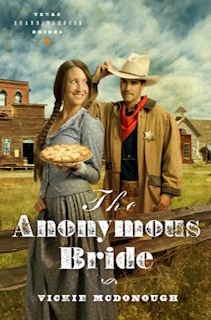 I love the new cover for "The Anonymous Bride." 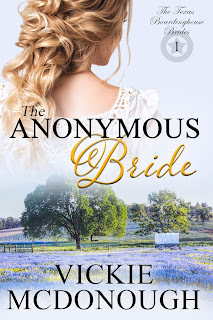 I love the new cover, Vickie! Beautiful! Thanks, Josie. I'm very pleased with it.